Guest Post: Kent Anderson — How Can Non-profits Improve Their Governance? Roadsign in Nubra Valley, northern Ladakh, India. Image via John Hill. Editor’s Note: More from Scholarly Kitchen alumnus Kent Anderson. This post stems from a conversation around finding the right balance between effective business management and focus on mission. Governance is coming up more frequently as a subject of conversation and concern among executives and managers in non-profit organizations. The topic’s rising prominence coincides with more acute financial stresses and vexing strategic conundrums, both of which traditional governance bodies are finding difficult to handle. Executives are duly concerned. Unlike with the technologies, social issues, and lifestyles of the modern world, the governance structures of non-profit societies would be readily recognizable to someone from the 1950s. Not only are governance structures similar, but the people populating them would also be recognizable — mostly older academics from the field or discipline the non-profit serves. The results of governance practices and processes can be examined to some extent, as US non-profits are required to file IRS 990 forms, which are publicly available via state Attorneys General offices as well as from GuideStar, a clearinghouse for non-profit performance data. Examining prominent non-profits with strong publishing programs, you find large investment funds, uneven growth year-to-year, and a traditional blend of revenue sources – meetings, publications, and membership dues. Perhaps the most striking common feature comes in the form of the large amount of retained earnings in those investment funds (mixed with some gifts and endowments). Organizations that aren’t innovating tend to sit on cash, and these funds can run to several hundred million dollars, with no end in sight. I wrote about this, and the unclear purpose of these large investment funds, a few years ago. While the reason for this is probably not very defensible, the behavior isn’t surprising – the governance for these organizations has been inherited in people and practices from academic institutions, which themselves have investment funds and endowments orders of magnitude larger. Large university endowments became a subject of controversy last summer, when a story in the New York Times revealed that Yale University had expended more from its endowment to pay its fund managers than it had to support student tuition. Malcolm Gladwell jumped into the fray with a memorable rant on Twitter. The power of financial advisers in shaping academic spending may suggest these unaffiliated, mission-deviant players participate as a form of shadow governance. Maintaining these funds is certainly a major source of institutional inertia. This followed a report from January 2015 entitled, “Rich Schools, Poor Students,” in which the researchers noted the linkage between university endowments and tuitions (both are going up, leading to poor students), but also that universities with the largest endowments receive the most federal subsidy per student, driving disparities further. They also calculated that a tax of 1.36% on these university endowments would generate more than US$5 billion, enough to send 9 million students to community college for free. Feel the Bern, indeed. Will large non-profit investment funds and endowments also become a source of concern? It’s a topic some governance bodies have been addressing, with mixed results. As it turns out, spending money can be difficult if there isn’t a strategy or plan. 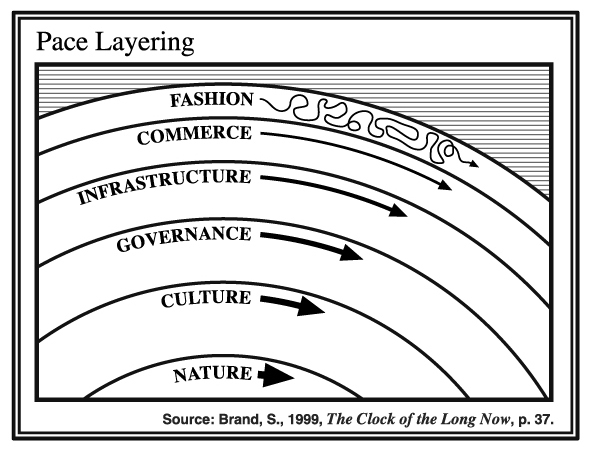 While governance is necessarily a slow-moving layer moderating change, given the rapid pace seen in other areas, most non-profit boards remain surprisingly inertial – passively or actively resistant to modifying their composition at a more basic level (e.g., experts instead of honorees), reconsidering their remit, or examining their role and purpose in the organization writ large. More relevant expertise on the board. Most non-profit governance consists of luminaries within the field the non-profit serves. Unfortunately, these individuals are not luminaries in the lines of business the non-profit operates. Professors, deans, and chairs of various academic departments are not invested with the hard-won expertise, connections, and network of formal and informal advisors possessed by a comparably experienced CEO, CFO, CMO, CTO, or COO; nor are they in possession of the formal training and tested business experience of the industry professional. As Joe Esposito wrote last week, “Where people with a scientific background would almost certainly be at a considerable disadvantage is in the governance of publishing entities, as the nature of operating in a marketplace economy is difficult to grasp for someone not brought up to it.” In addition to lacking the background, traditional board members also don’t have all the information, or even speak the same language, as staff professionals. Having experts in the lines of business or main functions of a non-profit can flirt with micromanagement and requires vetting candidates for the right frame of mind for governance, but micromanagement is a danger with inexpert boards, as well. The inexpert board can impose its will in ways that are distinctly unproductive, even if that manifests itself only as an effort to maintain the status quo. An expert board – or, better yet, a stronger hybrid – can make governance more effective and drive better decision-making. Greater continuity. Most non-profit boards consist of members who rotate out in fairly short order, making reorientation a repetitious and draining task for staff leaders. Constantly revisiting topics, reinventing shorthand, re-establishing basic facts, or re-justifying strategies is time-consuming, and also contributes to drift, as modifications and caveats creep in each time topics are revisited in the context of incomplete information. This churn can also introduce distracting topics, the same topics over and over again, and so forth, dissipating effort for all involved. Some boards have advisors who serve indefinitely, and these individuals can become hugely influential. This is a balance that could be improved. Engaging in strategic thinking. Having a strategic plan always sounds reasonable, but arriving at one might take too long and result in something that is too watered down or static to endure in the current climate. Engaging in frequent strategic thinking exercises with the board, in which a particular problem facing the organization (the proverbial, “What keeps the executive team up at night?” question) is discussed in a structured manner during a longer board session. Boards often consist of members with great facility for these exercises. If anything, questions the board members ask, and the dialog that follows, will usually make the exercise worthwhile. Taking advantage of this can also move decisions along faster. Comparable stakes. Most governance positions are voluntary, and all are part-time. This provides heavy contrast with the professionals working within the organization. Unlike a board, staff depend on the success of the organization for their paychecks, health insurance, retirement funding, and career trajectory. No matter the outcome of board decisions, the board members receive their comparable benefits from a separate organization. They will not suffer directly from a bad decision. While a great board will behave as if it’s members have “skin in the game,” in reality they do not, and combined with rotating terms, there is a resultant lassitude, which can lead to a lack of urgency and assertiveness. Board goals and commitments to key strategies, including accountability enforced by a board shakeup if things don’t go well, can be one approach to creating real stakes for board members. No “insider” politics. Having a governance body composed entirely of experts in a field creates the potential for the board to be dominated by irrelevant and insular politics. Efforts here are unlikely to ever be entirely successful, but diversifying board membership to include people outside the group the non-profit serves, including other non-profit executives and domain experts, can certainly diminish this problem. Faster decision-making. Boards meet infrequently, usually 3-4 times per year. Big decisions are often left to the board chair or the executive committee, or to the chief executive, who naturally enlists the board chair and executive committee. Arranging and explaining meetings of non-expert decision-makers takes time, and often a conservative streak means multiple cycles of conversation before there’s buy-in. Monthly executive committee calls with the executive director can be one solution. Email voting on some of the more mundane board-approval functions can be done off-cycle or before meetings, saving time for bigger items (such as the strategic thinking, mentioned above), and clearing things off the governance plate. Structural reconsideration. Some organizations have non-expert boards with a rotating one-year honorary position, such as a society president. At some organizations, the titular president arrives with a pressing agenda of her/his own, which can distract the organization, sow turmoil within the board, or drain resources. In some instances, a board may become so dysfunctional or paralyzed that the organization is damaged for years after a single meeting. Some boards are considering eliminating this honorary position to avoid this “cult of personality” effect. A main factor fostering concerns about governance is that non-profits find themselves consistently outflanked by faster, more aggressive, and more dynamic commercial competitors in a high-change, high-tech, and high-stakes business environment. As Joe Esposito recently and wisely stated, non-profit and for-profit businesses exist in the same market. A fair question, therefore, is about which approach to governance has the intrinsic advantage. Intrinsic advantages are almost always structural advantages, so questions about how governance works and is structured arise. This is where the question of “values” can be raised. Non-profits possess missions that deliver a social benefit. They are, by definition, different. Robert Harington noted this is a post last year, and governance is a big part of these important differences. To a certain degree, the mission is very important, but there can be a myopia about it, as well. Having a focus on philanthropy, social good, and public benefits requires governance of a particular type. However, academic or scientist governance is not a guarantee that missions are pursued with vigor. Many non-profits operate in an overly conservative manner, and aren’t obviously passionate about pursuing their missions. This leaves a record. As noted above, if you look across the non-profit and academic space, there are billions upon billions in retained earnings being sheltered in investment funds and endowments. These funds are not being used aggressively to support the mission of the organization, but rather have become an end in themselves. Compare this to one non-profit I’ve encountered which is run by professionals. It has minimal retained earnings, turns over 100% of its annual contributions to cancer researchers and caregivers, and has a board consisting almost entirely of people who care about the cause, not insiders in cancer research. Current challenges don’t end with business efficiency and competitive vulnerability. Non-profits aren’t the only organizations pursuing missions. There are private and for-profit companies that embrace public good initiatives — planting trees, funding schools, supporting cancer research — proving that the two can mix. And a new type of organization — the public benefit corporation — is becoming more popular in an effort to find a new blend of charitable/mission-driven work and business sustainability. Firms like BoardSource and others are well positioned to advise in this space. However, because boards themselves often drive engagements with governance consultants, there is typically an assumption of maintaining the status quo or, at best, incremental and tolerable change. The idea of radical refactoring rarely enters the discussion. One radical solution is to replace a current board structure with a new one focused on professional, accountable members, run by the chief executive, with members consisting of the best and brightest from the lines of business the non-profit runs, while also possessing a passion for what the organization represents. Hints of this exist at some organizations, but academic imprinting is hard to shake. As Angela Cochran wrote last week, “What most societies need are professionals who know how to be good association managers and publishers.” While she was referring to staff positions, this is just as relevant to governance. The important thing about building a Board is to have expertise from various areas represented: information technology, research, publishing, library services, finance, marketing, etc. It is also important that the Board understands that they are there to work in the publisher’s interest. A librarian on a Board does not represent a library’s interests; the librarian represents the publisher’s interests in the world of libraries. For a Board to be effective — to help a NFP publisher compete in the marketplace — the Board has to defend the publisher’s business interests. Boards and governance both are constructs, not immutable expressions of nature. They can both be improved. Is your governance process effective? Are your board members working hard enough to advance your organization’s interests? Is your organization putting its money where its mouth is? Post updated to remove an erroneous statement that Malcolm Gladwell had attended Yale Univeristy. 11 Thoughts on "Guest Post: Kent Anderson — How Can Non-profits Improve Their Governance?" Referring to non-profits in general seems too sweeping. Are you mainly thinking about scholarly societies? Your claims do not accurately describe the university presses I know. E.g., when I worked at Princeton in the 1960s through 1980s the board had plenty of professional expertise from the publishing industry represented including the CEOs of McGraw-Hill, Little Brown, Scribner’s, and Elsevier Scientific. Nor is it accurate for the board of the CCC on which I have served since 1992. Agreed, Sandy, this does sound a bit like stereotyping. My experience has been that different firms doing the same work can have very different personalities. Given all the factors listed there is a lot of room for variety, which in turn suggests that different approaches to improvement may be needed. CCC is a for-profit company. It was founded as a non-profit in 1978, and maintains a state-level non-profit registration in New York state, but its tax-exempt status was revoked in 1982. It does not file a 990 form with the IRS, etc. That’s to take nothing away from its important work or achievements, but it is not a non-profit organization. Great post, Kent. CCC is an interesting case – I don’t think it’s correct to describe CCC as a for-profit. As you say, their tax exempt status as a 501(c)(3) was revoked but they are still a New York not-for-profit corporation which means they are non-stock and governed by New York not-for-profit law and their Certificate of Incorporation and bylaws which determine how the board is constituted representing different stakeholder groups (someone let me know if this isn’t correct). Disclosure: Crossref is a also New York not-for-profit corporation but we have tax exempt status from the IRS as a 501(c)(6) trade association. One small correction: Malcolm Gladwell is not a Yale grad. He graduated from the University of Toronto. Thanks, updated the post to correct this.